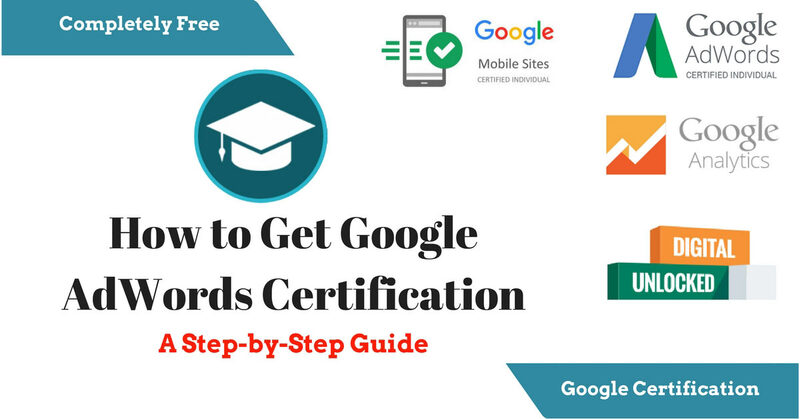 Many students and business professionals ask me questions on how to get certified for Google AdWords. 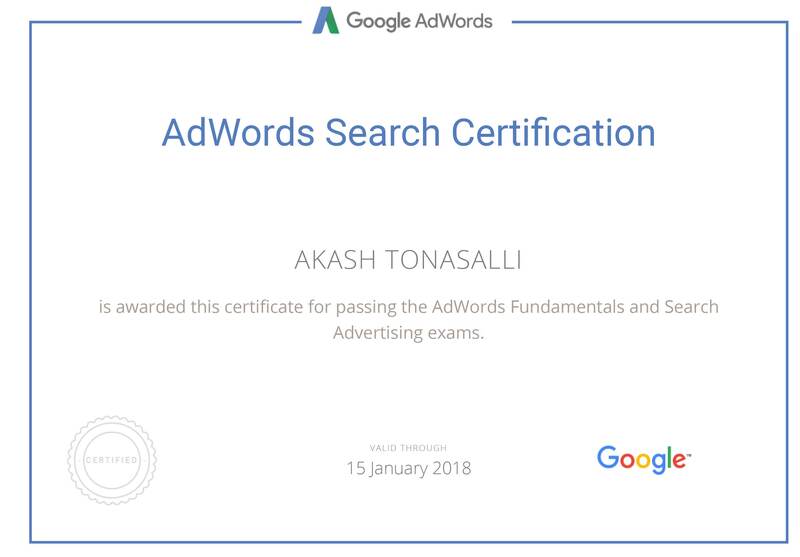 It is simple; all you have to do is take the exam on Google AdWords from Google Academy for Ads (earlier, one had to take it from a Google Partner). Since the beginning of 2018 Google has moved exams and study materials from Google Partner to Google Academy for Ads. Note: To be certified for Google AdWords you should have completed the AdWords Fundamentals Exam. Who is eligible to take Google AdWords Fundamentals Exam? You can take the Google AdWords Fundamentals exam from Google Academy for Ads. Study material is also available here to prepare for an online exam. To access this study material you need to login with your Gmail account. 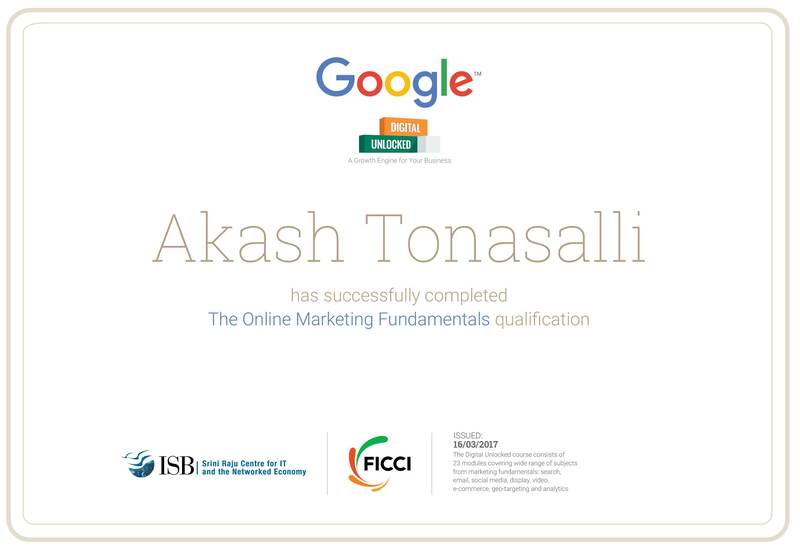 One has to pass the AdWords Fundamentals exam to take up other certification exams like ― Search Ads, Display Ads, Video Ads, etc. Elementary and intermediate concepts including benefits of online advertising and AdWords are covered in AdWords Fundamentals. This also includes best practices for optimizing as also managing AdWords campaigns. Click Here to access AdWords Fundamental exam study materials and also to appear for the exam. This certification covers elementary & intermediate concepts of mobile advertising, ad formats, targeting &bidding, campaign measurement & optimization. Click Here to access the AdWords Mobile exam study materials and also to appear for the exam. This covers elementary & intermediate concepts of creating, managing, measuring and optimizing search ad campaigns across the entire Search Network. Click Here to access AdWords Search exam study materials and also to appear for the exam. This certification covers elementary & intermediate concepts of best practices for creating, managing and optimizing display campaigns. Click Here to access AdWords Display exam study materials and also to appear for the exam. This certification covers elementary & intermediate concepts of creating, managing and optimizing video advertising campaigns across the web and YouTube. Click Here to access AdWords Video exam study materials and also to appear for the exam. This certification covers elementary & intermediate concepts and also creating a Merchant Centre account, product data feed and creating and managing Shopping Campaigns. Click Here to access AdWords shopping exam study materials and also to appear for the exam. This certification covers elementary & advanced concepts of creating, managing, measuring & optimizing mobile websites. 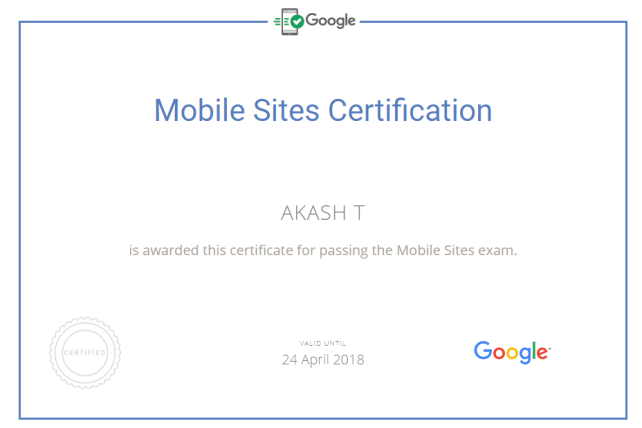 Getting certified for this demonstrates a strong knowledge of mobile sites design and an understanding of best practices and current browser skills. This certification evaluates the effectiveness of sales reps to successfully market Google digital solutions to businesses. It covers the basic concepts in online advertising and marketing skills. Click Here to access Digital Sales exam study materials and also to appear for the exam. 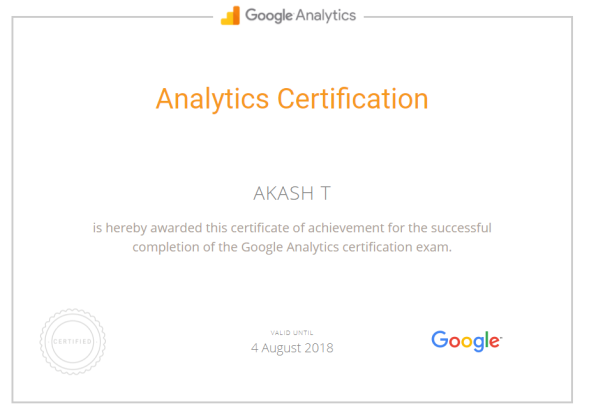 This program covers all concepts of basic and advanced Google Analytics that includes ― planning & principles; implementation & data collection; configuration & administration; conversion & attribution; reports, metrics and dimensions. Click Here to access the Google Analytics exam study materials and also to appear for the exam. This is another program from Google for business professionals, on how to promote their business products or services online by using the Google platform. Click Here to access Google Digital Unlock exam study materials and also to appear for the exam. 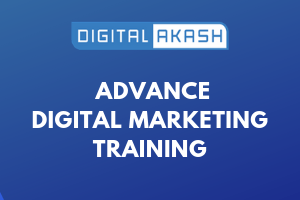 Nice info Aakash ,can you please write few stuff on Google Adsense ,theme and plugins also and especially how to create good landing page ,maybe with tutorial (video) . Good Article. I have a question. Can a person get more than 2 certificates (basic and 1 more), or can they take the basic and a few more of the additional ones if they choose.